had plenty of skilled Masons, wood and metal workers to complete the job. Please keep in mind that these masons are real people who were well documented by many historians. You will also find in ancient Crete a family of builders who had descended from one of the first documented builder masons who specialized in wood, Daedalus. He is one of the most famous artists and builders of Crete who were the forerunners to the Grecian building communities, and Roman collegia. The very same ancient guilds which modern Freemasonry descends. The connection between Hiram and this family can be found in the name Daedalus which means “cunning worker.” His family of Masons were known as Daedalids, and the name of their craft was known as the Daedalian style of art. A man who is considered one of the founders of Western Philosophy and one of the greatest of Greek philosophers, Socrates had claimed to be a Daedalid. Daedalus formed one of the first true lodges of Masonry on Crete known as the Cretan Daedalid School which flourished for many centuries. 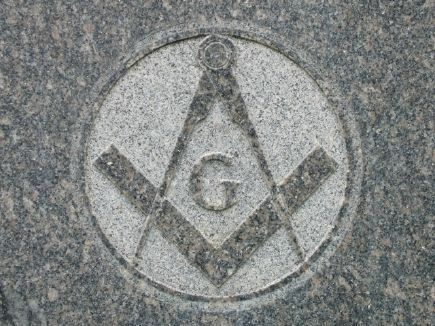 The Masons say he was the inventor of a number of the “Working Tools” used in the various degrees of Masonry, the plumb-line and the axe, most of the tools used in carpentry, and of glue. Daedalus was credited by several great historians as being employed in erecting several great architectural works on the island of Crete and elsewhere, some of which were extant even in the time of Diodorus. 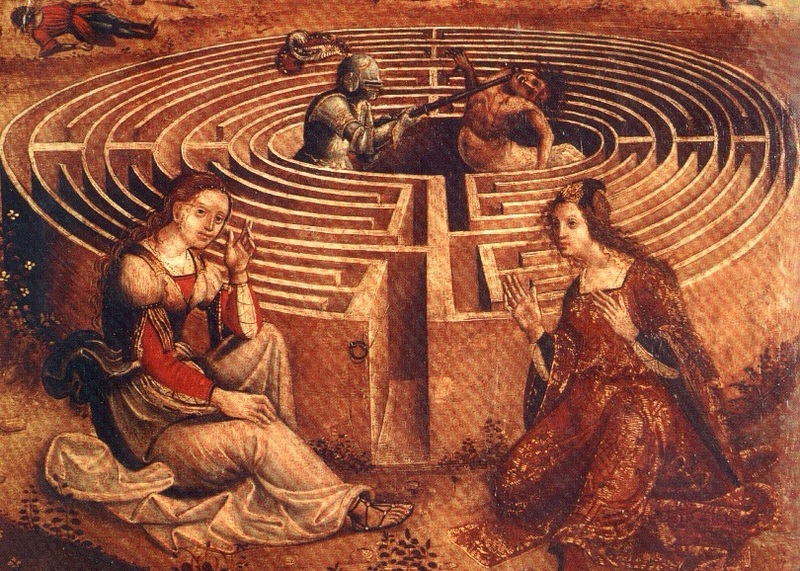 For example, Daedalus had constructed the world-famous Cretan Labyrinth, according to the statements of Diod. S. and Pliny 36. Homer had said that the statue of the daughter of Minos, King of Crete, Ariadne at Knossos was made by Daedalus. “A famous artist and mechanician, whose genealogy is traced in the Greek myths as having sprung from the old Athenian race of kings, the Erechtheidae. He is said to have executed the Cretan labyrinth, the reservoir near Megaris in Sicily, the Temple of Apollo at Capua, and the celebrated altar sculptured with lions on the Libyan coast. “It was the custom in Egypt to say, when the dog-star or Anubis was represented with large hawk’s wings, that the water would be of a sufficient height, and there would be a certainty of a plentiful harvest. On this occasion Anubis was called Doedalus, which signifies a sufficient height, or a sufficient depth. 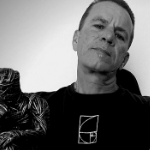 All the ancients agree that Daedalus was an ingenious architect. They ascribe to him the invention of the compasses and the square. But by misfortune, both the history and the statues with their feet united become the proof of the origin I here assign to Daedalus. The compasses and square, of which he is made the inventor, are no other than the compasses and square that were put into the hands of Anubis or Horus, to warn the husbandmen to be in readiness to measure their lands, to take angles, in order to distinguish them from the lands of others. “The Daedalian style of art continued to prevail and improve down to the beginning of the fifth century B. c., and the artists of that long period were called Daedalids, and claimed an actual descent from Daedalus, according to the well-known custom by which art was hereditary in certain families. This genealogy was carried down as late as the time of Socrates, who claimed to be a Daedalid. 1. One of Hercules, fixed at Thebes, (Paus. 9.40. 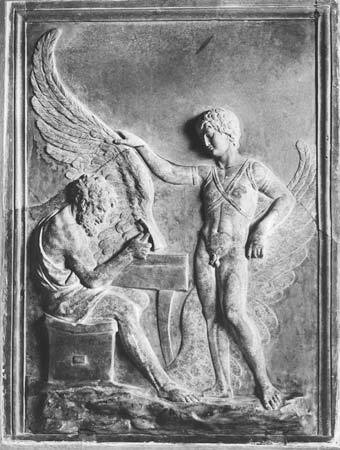 2,) dedicated to Hercules by DAEDALUs himself, on account of his son Icarus buried by him, (9.11.2. Apollod. 6.5.2.) probably this statue is referred to by Hesych, v. TXijšau. 2. Statue of Trophonius, kept at Lebadaea. 3. Statue of Britomartis, fixed at Olus in Crete. 4. Statue of Minerva, placed at Cnosus, 5. One of Venus, kept at Delos, which was presented by Dadalus to Ariadne, by her to Theseus, by Theseus to the inhabitants of Delos. 6. Another statue of Hercules as naked, kept at Corinth. Paus. 2.4. “Whether we call them, TM Koivov, or fraipm, whether we accept the account of the Dionysian architects, or that of the Daedalid, deriving their name from Daedalus, the famous artist and builder of Crete, there is so much identity between the general organisation and particular customs of these building lyceums, and our modern Freemasonry, that we are led to the inevitable conclusion, that these Grecian building communities were the forerunners of the Roman collegia, and thereby linked on to these mediaeval guilds, from which we ourselves clearly and continuously descend.